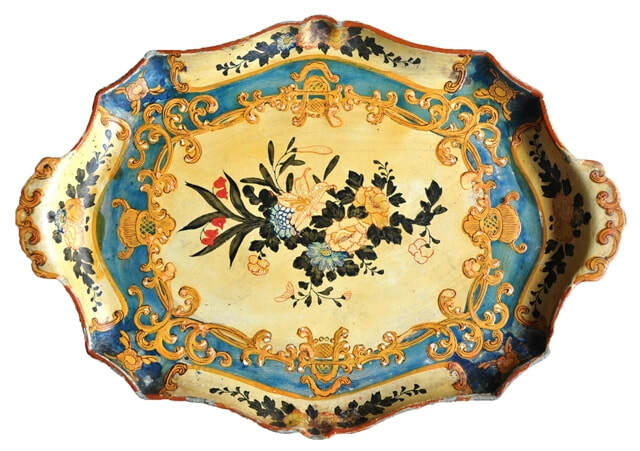 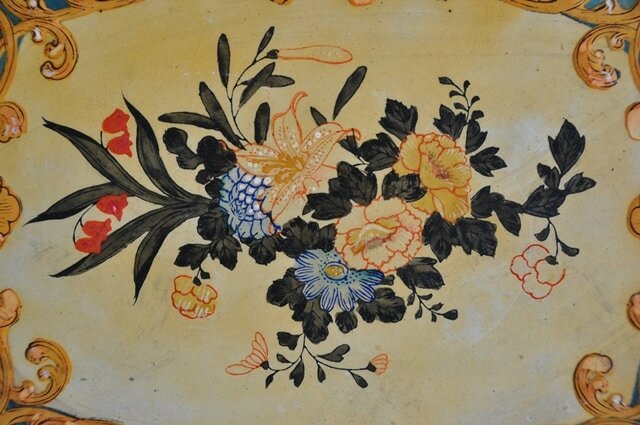 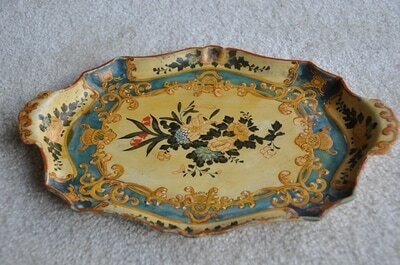 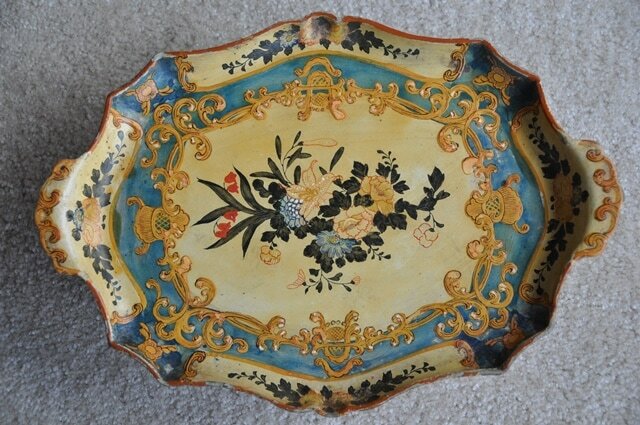 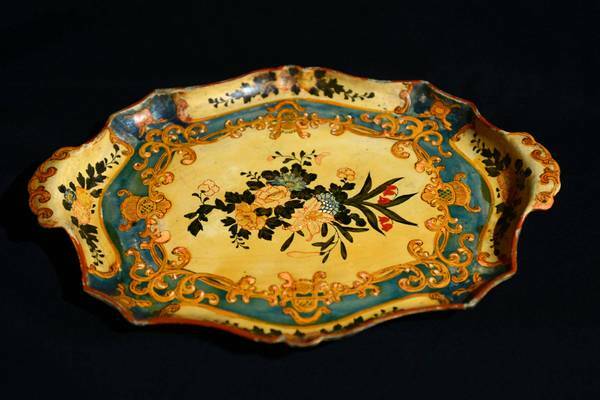 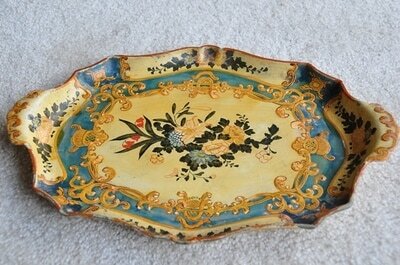 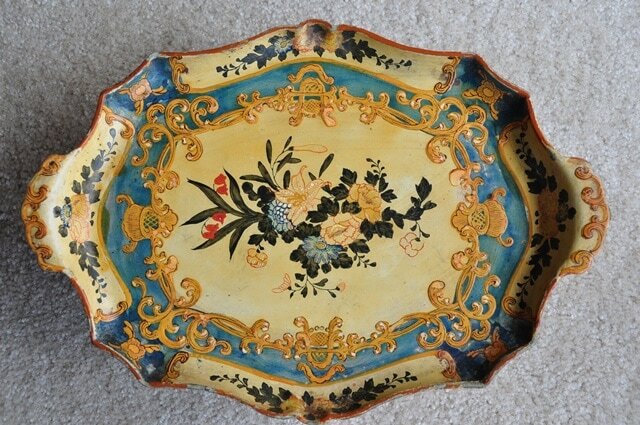 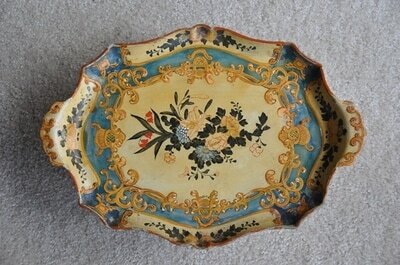 This is a hand painted Japanese papier-mâché tray with floral decorations from the early 20th century. 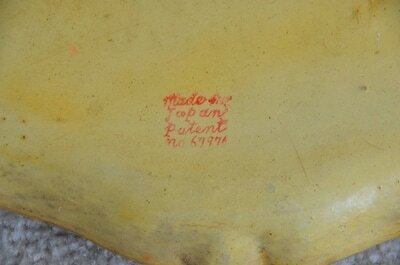 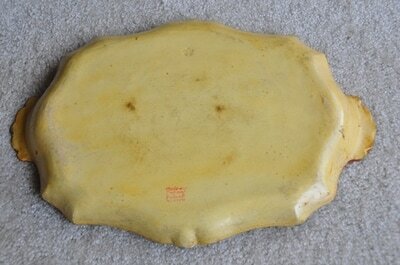 It is thought to be from the 1920's because of the patent number stamped on the back of the tray. 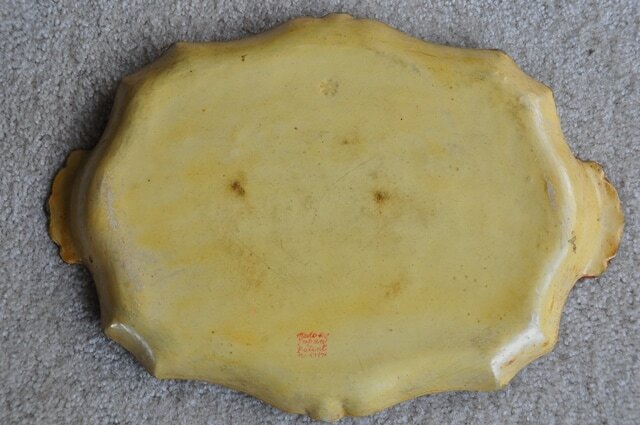 It is 15" x 10-3/4" in size. This was made from molded paper (papier mache), then hand painted and covered with a protective layer of shellac. 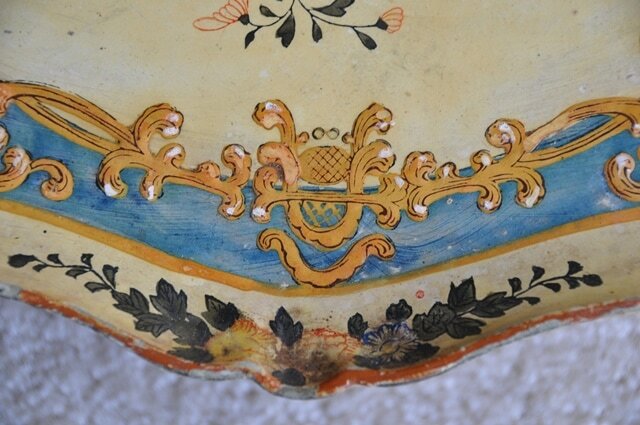 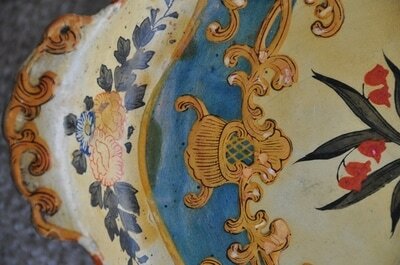 This item is in fair condition with slight wear to the painting and some chipping on the outer ring.